For more running routes, see the Route List! 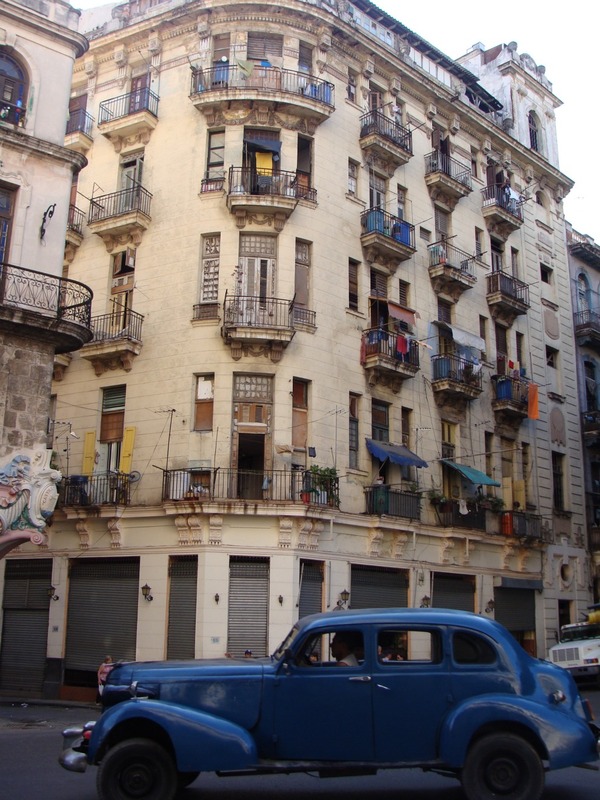 For longer than is healthy I’ve had a burning desire to visit Cuba. To shuffle out a salsa in a downtown bar to a rough ‘n’ ready band whose average age is about 76 while drinking dark rum or a Mohito cocktail then to chug back to a forlorn hotel in a ’64 Cadillac where in dim lamplight we smoke a fat cigar to round off a perfect evening. 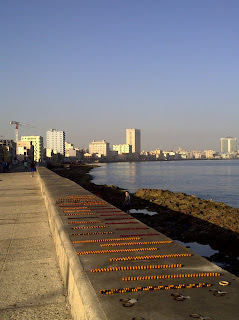 Then after too little sleep and in a haze of cane syrup alcohols and flashing images of the night before to breeze out onto the famous “Malecon” – the coastal main road for an early morning run round the bay. Well last week my dream came true. 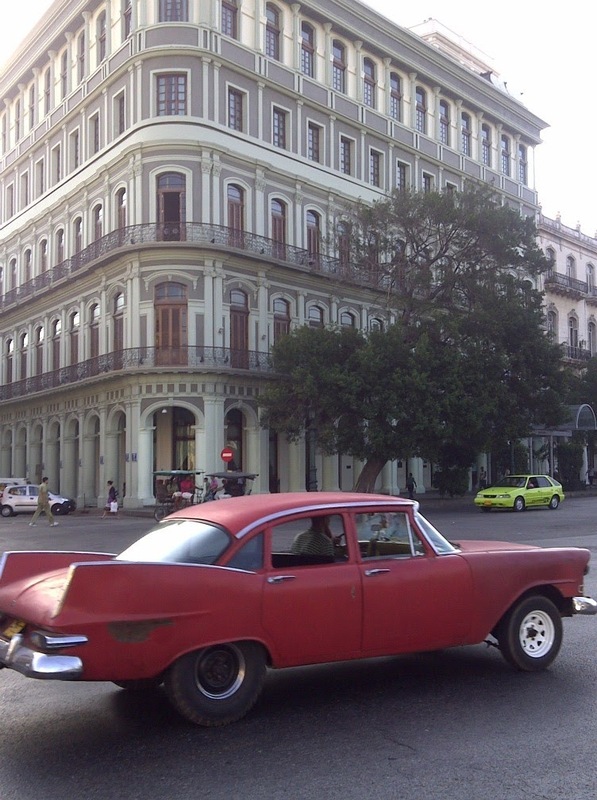 It’s hard not to talk about Cuba without conjuring images of ancient American classic cars and women smoking cigars in brightly coloured headscarves. 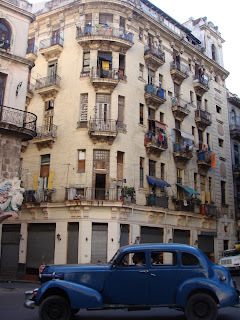 All these clichés can be seen on almost every corner of Havana. It’s been discovered, invaded, owned, sold, re-invaded and freed several times over in its history so it’s little wonder Cuba has character. And that character is forged not just by the country’s history but to a large extent by the unique sight of the 60’s Cadillacs, Fords and Buicks that make up the traffic. These were brought over by mafia money in Cuba’s only boom time economy which divided the rich (mostly unwelcome Americans) and the poor (mostly angry Cubans). They were left in a hurry when the achingly handsome and very popular Che Guevara won the people’s hearts and their freedom in a successful people’s revolution. As the last Americans left in 1964 he told the Cubans “If you tremble with indignation at every injustice, then you are a comrade of mine”. Stirring stuff. But to the run: This loop is an easy, flat route of about 4 miles taking in the old town, the Malecon, a bit of their Chinatown and a piece of, well, just real Havana. The Hispanic architecture, most of which went up in the period leading to the revolution that took place in the 60’s, has mellowed to a kind of crumbling colonial charm which makes for lots of eye-catching scenes, so take a camera if you can carry one (I used a blackberry to take my shots). 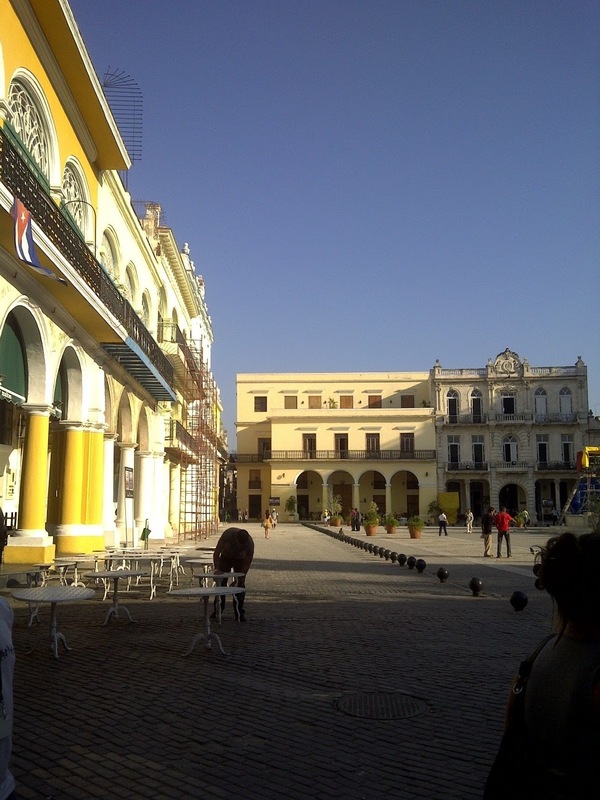 Starting at my Hotel, The Saratoga, which is about opposite the old government building known as the Capitolio (now a museum) I headed down to the old town via the street known as “Obispo” to see Plaza Viejo, now tastefully restored and looking mighty fine in the morning sun. On one corner stood the Café Taverna where later that night I was to see the Buena Vista Social Club – a must if you have the time. It’s old blokes making dance music and completing salsa moves that made me reach for the glucosamine. From there straight down to the seafront and turn left towards the harbour entrance now aglow in golden morning sun. Round the point and onto the Malecon with the sun on your back from where you can see right round the bay that the town is on. All along the front are houses that spoke of better times and one or two Hotels once owned by American Mafiosi but now state-run. Peddlers selling beads and artefacts offer cigars and currency swaps (DON’T take up these offers – you’ll get Cuban Pesos worth nothing at all and not the international convertible Pesos usable in the shops by tourists). 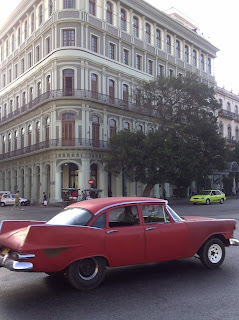 Turn left onto Belascoain and you head into some real downtown Havana. Kids on their way to school, restaurants washing down pavement terraces, shops re-stocking, broken down cars undergoing open heart surgery by engineers up to their elbows in black engine oil. Keep going until you reach Avenue Zanya where you throw a left and head up towards the Capitolio again. This time you pass Chinatown, the Rail museum which is really a steam train graveyard – guarded by a fierce dog as I passed. Back onto the pretty open square next to the Partagas Cigar factory and you’re home. Go to Cuba for sun, rum, music by old blokes, dancing, cigars, beaches and value for money but don’t go for luxury - not much works and nobody in Cuba has any money, although of course they'll welcome some of yours. Nice. Did they have any races/competitions while you were out there?